Riders gathered today for the first briefing of this weekend’s H.H. Sheikh Mohammed Bin Rashid Al Maktoum UK Endurance Festival as Organisers confirmed a record 620 entries for the three-day celebration of international and national Endurance. The festival marks the end of another fantastic season of equestrian sport in Suffolk, UK in 2018. In the international classes 410 horses and riders have already started arriving from a bumper 33 nations spanning the globe from Australia to Ecuador and 94 British riders are entered. The FEI classes are a CEI1* 80km, CEIYJ1* 80km, CEIYJ2* 120km on Friday 17 August and a CEI3* 160km and the first CEIO2* Team Nations Cup and Individual ride to be held in the UK on Saturday 18 August. 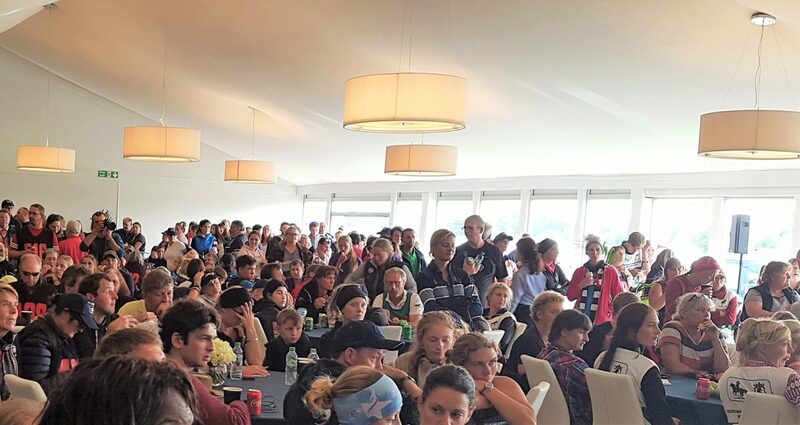 On Sunday, attention turns to the 210 National riders taking part in GER 80, 64, 40 and 32km, Novice GER 40 and 32km and 32 and 20km Pleasure Rides and of course the Pony Club Endurance Championships. Expect mules, a Suffolk Punch, and an eight year old competing on his birthday! There will be a large gala dinner on Friday night, the weather forecast looks good for all three days and there’s already a fantastic atmosphere around the site. Start lists, results , gallery and further information will be available here.